Politicians and The Ritz Club. Last night was the younger member drinks and dinner at the Carlton Club, I was invited by a friend who's a member. We got there really early, but made the mistake of having a drink upstairs first, so by the time we went to get tickets for dinner they had sold out :( sad times. Alas, we had supper instead, which was so yummy, and surprisingly decently-priced too, only £10 for sausages, chips, gravy and bread. Bargain! After supper all the excitement kicked off! We walked out of the dining room to be faced with Liam Fox and two of his uniform clad minions. And then, when a few of us were leaving to go to the Ritz Club, Ann Widdecombe walked in - Amazing! Max decided to chat to her while she was trying to get into the lift, she didn't look too thrilled (this was around midnight), so I apologized and dragged him away from her (I'm becoming so responsible! I must be getting old!). We then all headed to The Ritz Club - B E A U T I F U L. Seriously, absolutely incredible. It was so ornate, and luxurious and opulent, it was like something out of a film. It was very quiet in there, not many people, we had a drink in the bar before going for a wander around the Casino. 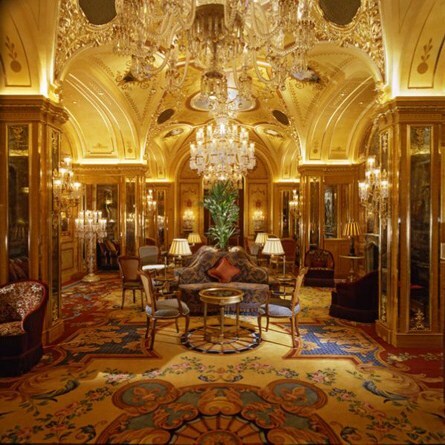 After the Ritz it was on to the Savile Club for a couple of hours chatting with friends in the library. It was a great night, had a wonderful time! 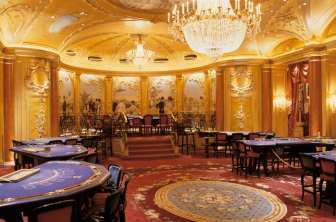 I've included a couple of photos I found on Google of the Ritz Club and Casino. I really wanted to take some myself while I was there...but didn't want to look silly and out of place getting my camera out and snapping away :/ lol!